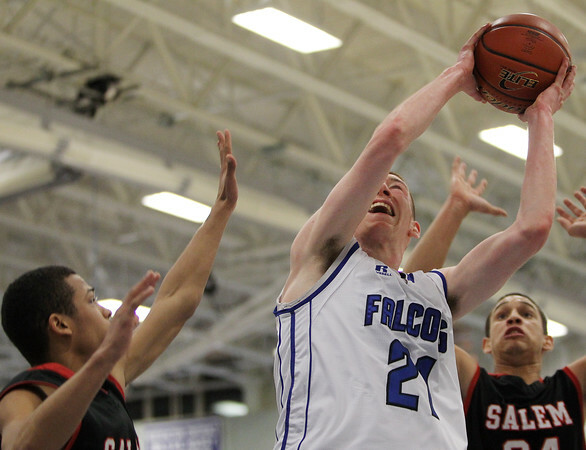 Danvers senior guard Vinny Clifford (21) goes up strong to the hoop while being hassled by two Salem defenders on Friday evening. DAVID LE/Staff photo. 1/16/15.